Anyways, In Time is a sci-fi thriller set in 2161. (Wikipedia just told me this.) Humans are able to stop aging when they reach 25 but due to overpopulation, “living time” has replaced currency. You pay for everything in minutes, days, months, and years. In this system the rich can be immortal while the poor live day to day, struggling to get more time. Justin Timberlake plays Will Salas, a 28-year-old who has lived his entire life in the ghetto. After helping 105-year-old Henry Hamilton escape local gangsters led by Alex Pettyfer, Hamilton gives Will his time (1000 years) and tells him to not waste it. Cue Will becoming some sort of Robin Hood, determined to destroy the system. Along the way, Sylvia Weis (Amanda Seyfried) the daughter of a rich banker, joins Will. The pair become a knock-off Bonnie and Clyde, stealing from the rich and trying to evade timekeeper Raymond Leon (Cillian Murphy). Though In Time has an interesting concept (it was interesting enough to keep me engaged), it is executed rather poorly. 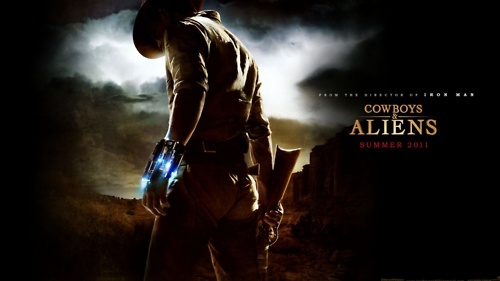 Man, Cowboys & Aliens. What a movie. Did I go into it expecting something great? Absolutely not, which made it kind of awesomely terrible. Maybe? Not really. I was turned off by a few things, mostly the overt sexualization of Olivia Wilde in an attempt to force chemistry between her and Daniel Craig. It just wasn’t there. Anyways, these are some of the lessons I learned from Cowboy & Aliens. Warning: spoilers follow.